This Land & Passage. 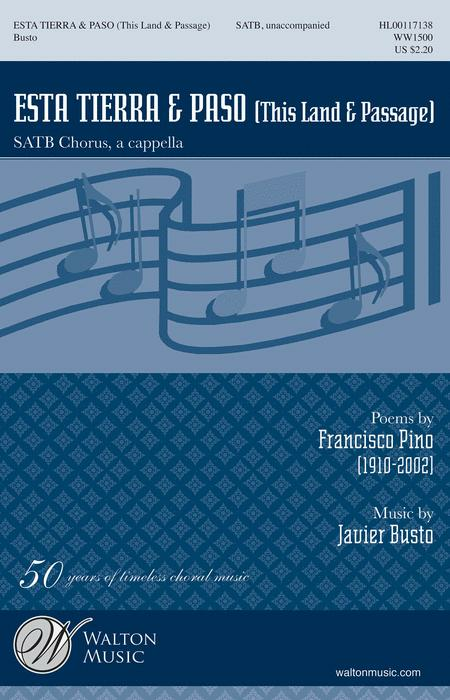 Composed by Javier Busto (1949-). Walton Choral. Music Education. Octavo. 12 pages. Walton Music #WW1500. Published by Walton Music (GI.WW1500). Spanish. 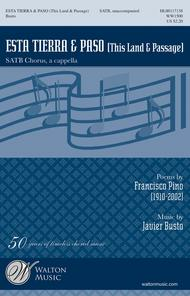 Text by Francisco Pino. Two short works by the well-known Basque composer evoke colorful images of the calm countryside and nature',s beauty. With Spanish text and in a simple four-part setting, the music paints the impressionistic beauty. A timeless selection for high school and beyond. Duration: ca. 3:00 each.